In the early nineteenth century, waggonways carrying coal wereactive in the Lothians and engineers began to take an interest inlines to the Scottish Borders. 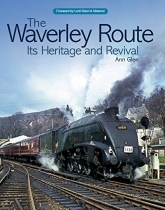 The Waverley Routes origins datefrom the 1840s when the Edinburgh & Hawick Railway, a branchof the North British Railway, began. The company soon had amonopoly in the Central Borders with branches to serve itsburghs. 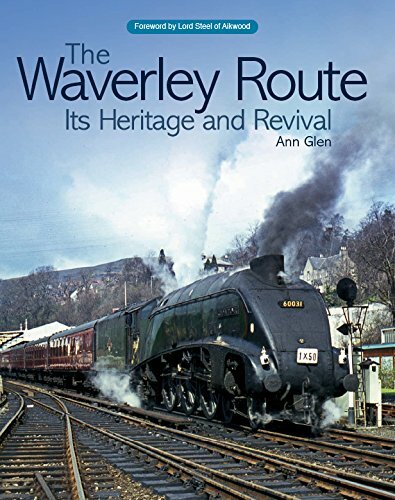 The effects of the railways on the Borders - itscountryside, industries, communities and leisure time - wereprofound and are considered in this book.The North British Railway also had a long standing ambition toreach Carlisle. This was achieved by means of the arduousWaverley Route from Hawick. This survived as a secondarymain line until the last passenger train ran in 1969. Closurecame as a consequence of the Beeching Report (1963).Despite attempts to save the route, only in 2006 was theprospect assured of a line returning to its northern portion - thenew Borders Railway.